QBs Dwayne Haskins and Drew Lock have announced they will throw at the NFL Combine. They are expected to be two of the top prospects with Haskins currently ranked the #1 QB. Many athletes split events between the NFL Combine and their school Pro Days which makes the Pro Day circuit vital to the final part of the scouting process. DE/LB Nick Bosa of Ohio St. is the projected #1 overall selection. He sat out his final season from a September 2018 leg injury. He is healthy now and is expected to participate in all the events on Sunday – March 3rd. He is capable of an impressive workout which could solidify the first overall selection with a return to his top athleticism. He is expected to test out well this weekend. Former Oklahoma QB Heisman Trophy winner Kyler Murray was included on the official list of invitees for the 2019 NFL Scouting Combine. Murray has already declared for the draft and will workout at the NFL Combine. He will most likely have to pick between the NFL and MLB where he was first-round pick of the Oakland Athletics. Murray wants to become a first-round pick in this year’s NFL draft and needs to convince NFL brass about his intensions to play football over baseball. The A’s have already made a big push to convince Murray to pick baseball over football and they hoped he still will attend spring training. The reporting date for spring training actually began last week before the NFL Combine. Murray will have to go through the intense training program to earn a #1 draft selection in April. It begins this week. Two sport athletes have had minimal success historically with virtually none playing QB in the NFL. That has never proven successful for any prospect with QB ambitions and any delay on committing to one sport beyond this winter could actually hurt his career potential in either sport. The NFL released the list of 338 players who will attend the NFL Scouting Combine which gets underway in Indianapolis on February 26th. The list includes extensive players from the Power Five Conferences with 261 of the 338 invitations going to prospects from those schools. Mississippi State DT Jeffery Simmons and Colorado State wide receiver Preston Williams were not invited to participate in the athletic events after personal conduct rules infractions. Simmons is considered an early first round prospect while Williams is graded as solid early middle round player. The NFL rescinded an invitation to Jaylon Ferguson of Louisiana Tech after his involvement in prior criminal charges due to violent assault. His pro day will be heavily attended with him considered a legitimate 2nd day selection. A few prospects have begun to announce if they can workout or if they have a limited workout and restricted to just the medical and IQ testing plus the critical interview process. Safety Deionte Thompson had wrist surgery recently and will not workout at combine or his pro day. Runner Bryce Love had ACL surgery in December 2018 and will not workout while OT Jawaan Taylor will rehab a leg injury and hopes to make the Florida Pro Day scheduled for March 27th. He is a rising prospect with an excellent skill set for the NFL game. Frank Coyle is a long-time scout with nationwide ties with NFL and college coaches, scouts and player agents. He has published draftinsiders.com for 28 years including a 250 page Yearbook with 300 in-depth scouting reports. Long-time scouting consultant for the Senior Bowl, the nation’s premier postseason All-star game and member of the FWAA and voter in College player awards – Heisman, Outland, Nagurski, Lombardi, Thorpe, Biletnikoff etc for the past 25+ years. On the eve of the 2019 NFL Scouting Combine, the Pro Day schedule was announced and begins the day after the week long combine in Indianapolis. 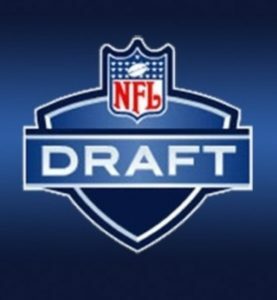 The process for the 2019 NFL Draft continues up to the event on April 25th thru the 27th. Coaches, personal men and scouts turn their attention to the NFL Combine starting Tuesday Feb 26th thru March 4th with the pro day workouts starting the following week. The Pro Days are not as comprehensive as the NFL Combine, though they address the important events and update the vital medical information and rehab process. NFL teams provide key decision-makers to most of these events as the critical final part of the scouting process. This year’s pro days are listed below by date. Some schools will book a 2nd Pro Day usually in April if they have injured players. New Mexico State, 12 p.m.
North Carolina A&T, 10 a.m.
Northwestern State (La. ), 9:15 a.m.
Grand Valley State, 8 a.m.
Sam Houston State, 10:15 a.m.
Central Connecticut State, 10 a.m.
San Diego State, 1:30 p.m.
North Carolina State, 11 a.m.
North Dakota State, 10:15 a.m.
South Dakota State, 9:30 a.m.
Frank Coyle is a long-time scout with nationwide ties with NFL and college coaches, scouts and player agents. He has published draftinsiders.com for 28 years including a 250 page Yearbook with over 250 in-depth scouting reports. Long-time scouting consultant for the Senior Bowl, the nation’s premier postseason All-star game and member of the FWAA and voter in College player awards – Heisman, Outland, Nagurski, Lombardi, Thorpe, Biletnikoff etc for the past 25+ years. The NFL announced the 32 compensatory picks for the NFL Draft 2019. The league computes the compensatory equation according to unrestricted free agents signed vs those lost at equal dollars. If they match, that cancels out any compensation. Example: Giants signed LT Nate Solder, but lost center Wes Richburg. Those transactions cancelled out each other from the Giants perspective. The Patriots received a #3 pick because they did not sign a FA at equal dollars to their loss of Nate Solder. This year the two Super Bowl contenders, the Patriots and Rams each get two #3 picks. New England, Washington and Arizona each have four overall selections. The Rams, Vikings and Bengals have three while the Falcons and Eagles have two compensatory picks. Frank Coyle is a long-time scout with nationwide ties with NFL and college coaches, scouts and player agents. He has published draftinsiders.com for 28 years including a 250-page NFL Draft Yearbook with over 250 in-depth scouting reports. Long-time scouting consultant for the Senior Bowl, the nation’s premier postseason All-star game and member of the FWAA and voter in College player awards – Heisman, Outland, Nagurski, Lombardi, Thorpe, Biletnikoff etc for the past 25+ years. Kyler Murray dispelled all concerns related to his dual-sport aspirations with a bold announcement on Twitter. Monday via Twitter, Kyler Murray committed to pursuing a career as an NFL quarterback. Murray was selected ninth overall by the Oakland Athletics in the 2018 MLB Draft, but was allowed to play his final season of football at Oklahoma. With the Sooners in his only season as a starter, he won the Heisman Trophy in 2018 following Baker Mayfield with back to back Oklahoma winners for the prestigious award. This success demanded him to reevaluate his future as a two sport athlete or which sports profession to select. Kyler Murray would be the first athlete to be selected in the 1st round of the both the MLB and the NFL Drafts. Many consider him a first round selection. Draft Insiders‘ ranks him currently as a Top 50 Prospect entering the NFL Combine 2019. Murray decided to walk away from his $4.33 million contract with the Athletics, which called for him to report to big-league camp at the end of February. He’ll have to return $1.29 million of the $1.5 million he received in a signing bonus from the Athletics in 2018. He will forfeit the remaining $3.16 million of his contract if he fails to continue his career and report to spring training camp later this month. All underclassmen had until Jan. 15th to declare for the NFL Draft 2019. Players had three days to rescind their decision and return to school and still retain their college eligibility. No underclassmen rescind their decision.